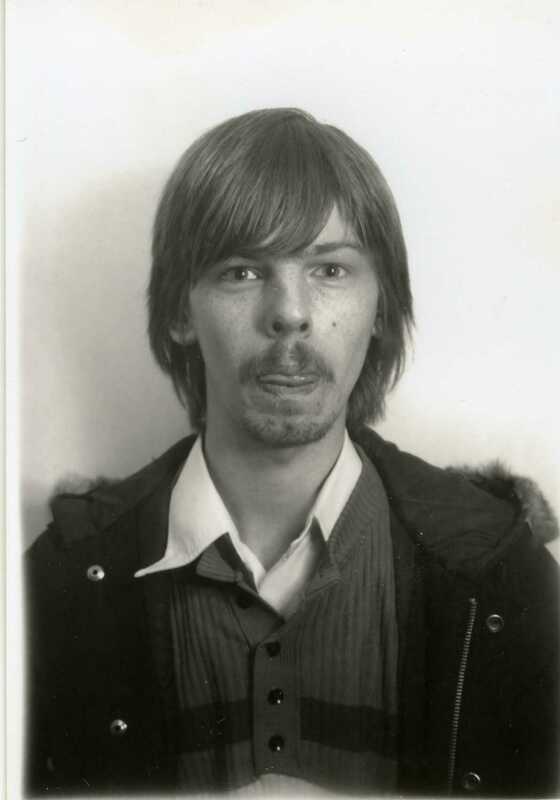 Yes this is me, 1978-ish, student. Christmas was usually spent in Liverpool at my grandma’s council flat, my time spent under a blanket upstairs watching my black & white portable TV. With a whole 3 channels to pick from I was spoilt for choice as ITV and BBC were intent on putting all the best shows and films on at the same time, the bast*rds! No video you see, so that was it, you missed it forever – it seemed at the time. Sally Oldfield rockets up to 5 just as her brother enters at 16 with 4 of his recent hits, not for the last time, either. Dury rockets up to 12, so there’s a race for the top for early January going on… Funk classic from Funkadelic enters, Clash shoot up to 47 with one of their more dreary tracks, Manilow emotes in at the lower end with a classic re-write, while another Barry covers Billy Joel pretty resonably while Bill shoots up himself, as it were, to 37. Rocky Sharpe join the 50’s revivalists, and Shalamar debut with a great soul dance track. Xmas TV was all about films, really, Xmas TOTP (as shown this week on BBC), new sci-fi series Blake’s 7, and a xmas showing of Wizard Of Oz. I wonder if that will become a tradition…..? 29 ( 22 ) SWEET TALKING WOMAN E.L.O. I was packing up from student digs to head home to mansfield for Christmas TV deluge and prezzies. Buzzcocks get another Top 20, novelty YMCA goes Top 3 – you’ve probably never heard of it! – and Earth Wind & Fire just beat out Elton’s lovely tribute to a young motorcycle courier who’d died in an accident, as highest new entry. Quo get to 12 with a forgotten record, Livvie goes Top 40 with her first post-Grease single, it was a bit moody and I liked it. The best (and forgotten) version of a christmas classic enters for The Eagles, Blockbuster movie Superman gets a single hit out of it, Paul Evans (who’d had an early 60’s hit) has an unexpected chart comeback, and a classic enters for Father Abraham. Just kidding. Ian Dury, obviously! TV, new show with a loveable alien and manic stand-up new frontman Robin Williams (Mork And Mindy) entered with a bang. Williams was only ever as good as this first season in movies where he has free manic reign (usually animated films). 22 ( 17 ) SWEET TALKING WOMAN E.L.O. In which a tarty disco dancer with a novelty Kenny Everett-sponsored sci-fi risque theme gets to the top. Hey it was catchy! Sarah Brightman would get another chart-topper in a very very different style one day…! ELO were huge in 1978, so it was great to see an EP of chart-flops and chrt-hits get a go at the chart. All of them were hits in the proper (John’s) charts, as so they should have been especially the gorgeous Strange Magic and Can’t Get It Out Of My Head. Hot Chocolate enter with a sweet ballad from a musical-that-never-was (I think, Dear Anyone), while sneaking in at 75, Mike Oldfield’s sis Sally with a faaaabulous minor chart hit (UK). Not minor in mine…. 17 ( 17 ) SWEET TALKING WOMAN E.L.O. The Bee Gees round off an even bigger year with a Top 10 hit. It’s hard to get much bigger than the Bee Gees were in 1978, unless your name is “Beatles” or “Elvis” or “Jackson”. There used to be a TV show I loved called Doctor Who, and someone did a disco version of the theme, in here into the 40. I wonder what happened to that show…. Chaka Khan enters after a gap of a few years (in my charts) or debuts (in the UK charts) with a bonfide disco classic. Well, funk disco really as opposed to eurodiscocheese, say, of Patrick Juvet. On TV lots of repeats and very little new stuff, apart from Soap and MASH, but a bit of Shakespeare in there just to counterpoint my love of one-liners (Groucho Marx and Woody Allen). 17 ( 11 ) SWEET TALKING WOMAN E.L.O. A 3rd week at the top for the brilliant Rat Trap, beats the UK’s run, and X-Ray Spex leap up to 3, Blondie 6 and glorious cheese of Dollar and Sarah Brightman just below. Classic dance anthem from the brilliant Nile Rodgers & co rocket in at 16, 2 different songs called Promises, and worth mentioning forgotten stomping rock-dance anthem East River, well ahead of it’s time. Let’s ignore my infatuation with the very gay I Love America, more of an infatuation with America than the record as I should by rights have been living in Wisconsin Waukesha Uni at this time for 3 months, like my mate was, grumble mumble! 11 ( 4 ) SWEET TALKING WOMAN E.L.O. 4 ( 3 ) SWEET TALKING WOMAN E.L.O. 3 ( 2 ) SWEET TALKING WOMAN E.L.O. 2 ( 1 ) SWEET TALKING WOMAN E.L.O. Those Summer Nights were drawing in, but for me the City ones ruled as Abba had their last week at the top to be pushed out by a classic ELO single from their most classic album Out Of The Blue, and what a great album it is. Disco, of course, doing well with the now-classic You Make Me Feel at 2 and the less-classic Donna Summer version of McCarthur Park (Richard Harris has yet to chart with his superior original Jimmy Webb classic) also at 2. Gerry Rafferty’s criminally ignored follow-up to Baker Street was a big US hit, and The Beatles got Sgt Pepper a belated single release and a top 10 hit (here). The last two weeks of the month made up for the rather lacklustre start for fresh new entries, as loads of classics pop out of nowhere…. Chartwise, it was all War Of The Worlds, 10CC and Abba, with a healthy dose of fab new wave and disco. Some of those acts banished by the BBC in the re-runs appear in my charts however. I can’t excuse Arthur & Hylda though, it was funny, what, for a week? four weeks is unforgiveable! OK, Saturday Night Fever, New Wave and Grease. Just like the real world in June 1978 then…. You know how when you’re a kid you like novelty records? Father Abraham…? I was 20. No excuses! I know I liked the toon, but even so…no excuses! May 1978 was hot. The weather was hot and the music scene was hot. I was ending my first year at College in Lincoln and music was changing in the charts. Punk may have happened in 1977 but New Wave was the real chart invasion, and it started at the end of May. There have been some online comments about the poor standard of tracks on recent Top Of The Pops from May 1978 shown on the BBC – well, my chart positions of the time support those comments. That’s how I saw it too obviously…. I’m biased, but hey a bunch of classics all under-performing at the top end of my charts cos they all had the misfortune to clash with the greatest record of all time. That’ll be “Baker Street” then….the record that has quite literally followed me around the world and throughout my life, no matter which country I travel to it’s on the radio, no matter what period of time, it’s on the radio, and more often than not it features in “greatest record of all time” charts. It’s perfect from every sublime sax and perfect guitar solo to each gentle melody and word. Everyone is entitled to an opinion on music, of course, but if you don’t like Baker Street you need to be tied to a rack and forced to listen to Teletubbies Say Eh Oh for 24 hours. Believe me, it’ll sound much better after that. Abba dominating, a bit of pop, rock, country, classical, funk, disco, soul, reggae, crooners, music hall, MOR, glam, new wave, punk, sci-fi movie themes, egyptian-styled pop n rock and anything else I could get to hear on the radio or TV. Some of these will be obscure, so think of them as bonuses you wont find in the UK singles chart of the time. OK it’s all here to see, I was 20, doing a degree, and The Muppets are in the Top 10! Oh it was funny! It’s not the only ancient song in the chart either, proving that young people can still like old music, Dooley Wilson and Bing Crosby from the 1940’s – that would be like some 20-year-old listing any of these records today…. Tune in next time for February’s charts!